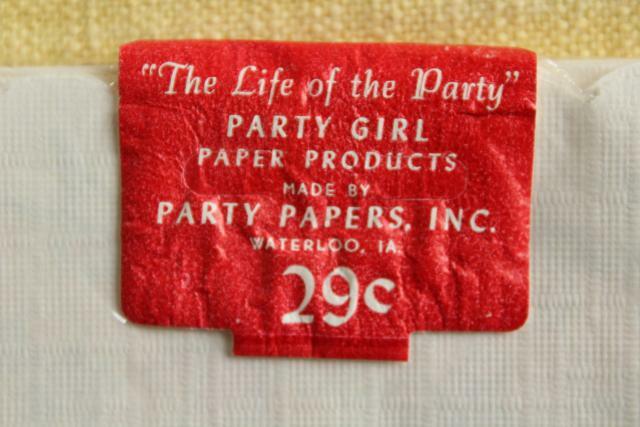 Cute vintage paper party napkins sealed in the original package with label. 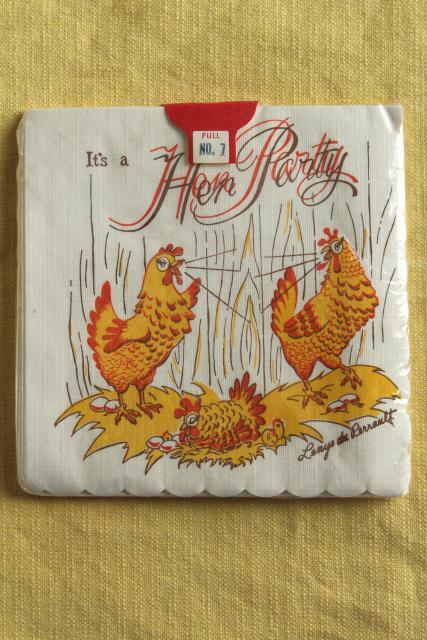 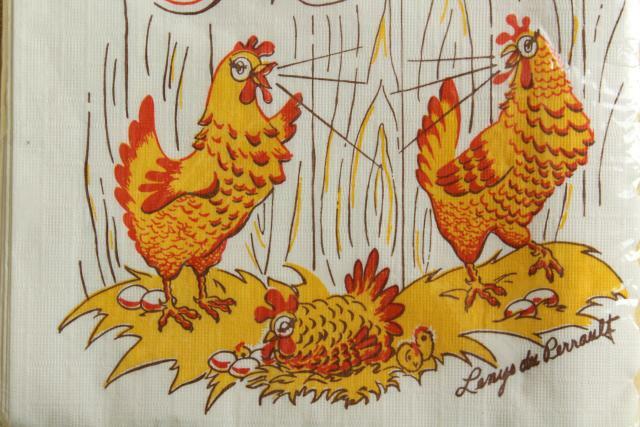 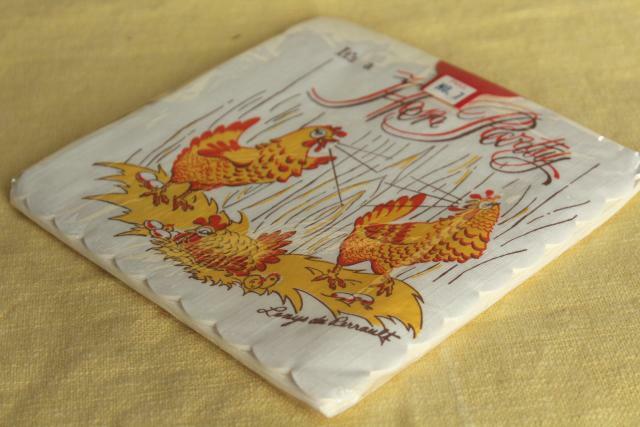 Love that Hen Party chickens print! 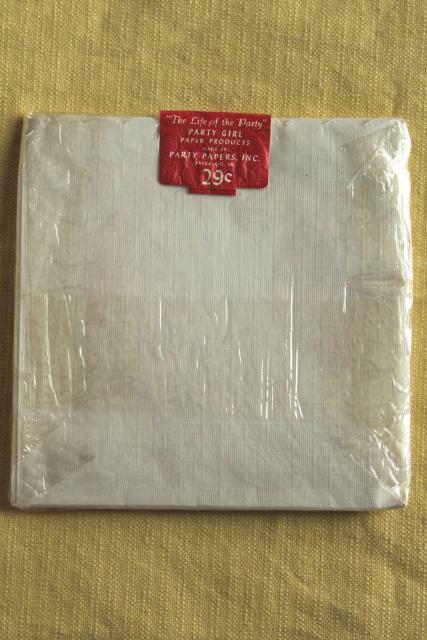 Size is 6" x 6".